Campus is buzzing, and here’s why: The UO has officially become the newest Bee Campus USA. 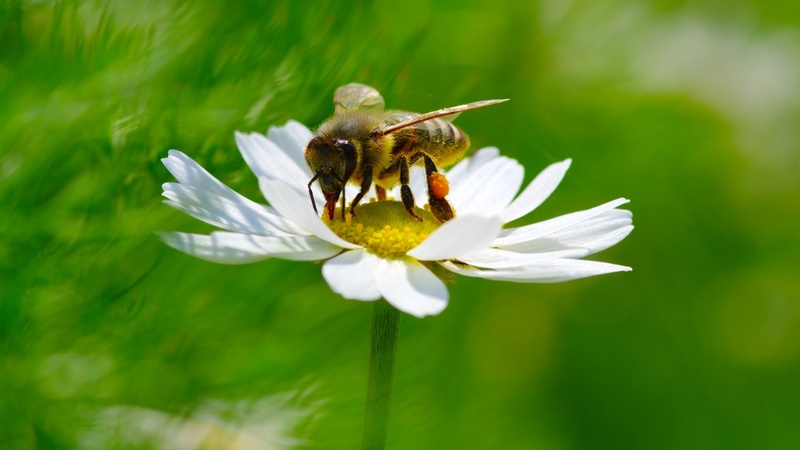 Each Bee Campus USA, as recognized by the nonprofit organization Bee City USA, commits to a set of practices to create a sustainable environment for pollinators. Bee Campuses host bee awareness events, offer pollinator-focused courses and regulate pesticide use. Most of the Bee Campus USA requirements were already in practice at the UO, supporters said. Several courses teach about pollinators, the UO’s urban farm hosts bees and bee-friendly events, and integrated pest management attempts to minimize the hazards insect control inflicts on the environment. According to Bee City USA, one in three bites of the food we eat would not exist without insect pollinators. An interest in bees drew several of Keeler’s civic agriculture students to start gathering the information necessary for the UO to become a bee campus. Years later, another student petitioned the president’s office and the sustainability office. GloryBee, a beekeeping supplies retailer, agreed to sponsor the program. Beyond Toxics, a local nonprofit organization that does environmental defense work, also got involved. “The more we’re educating students about the importance of biodiversity of pollinators, the more likely they are to take that knowledge with them and continue to create a world that pollinators can thrive in,” said Krystal Abrams, the pollinator projects manager at Beyond Toxics. The world hasn’t been an easy place for bees of late. In 2015, 42 percent of managed honey bee colonies were lost, according to the U.S. Department of Agriculture. Colony collapse disorder, although not responsible for all of the losses, is a significant problem that occurs when worker bees disappear from a seemingly thriving hive. Last year, all but one of the seven hives Keeler kept on campus and at his nearby home died. Beyond Toxics plans to hire a UO intern each term to manage the Bee Campus USA program. Michael Calhoun, an environmental studies major, is the newest student organizer.